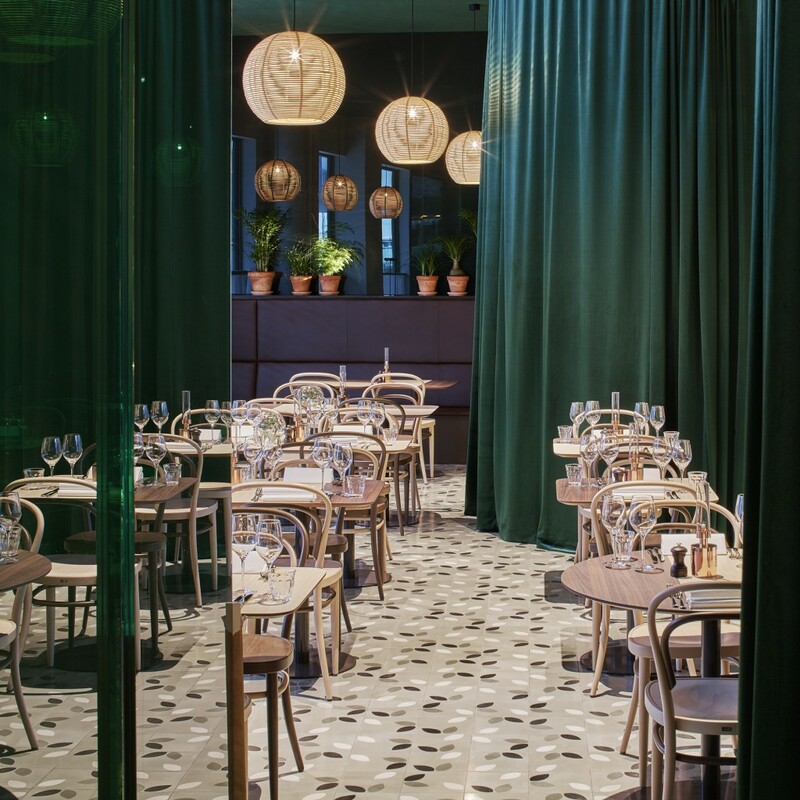 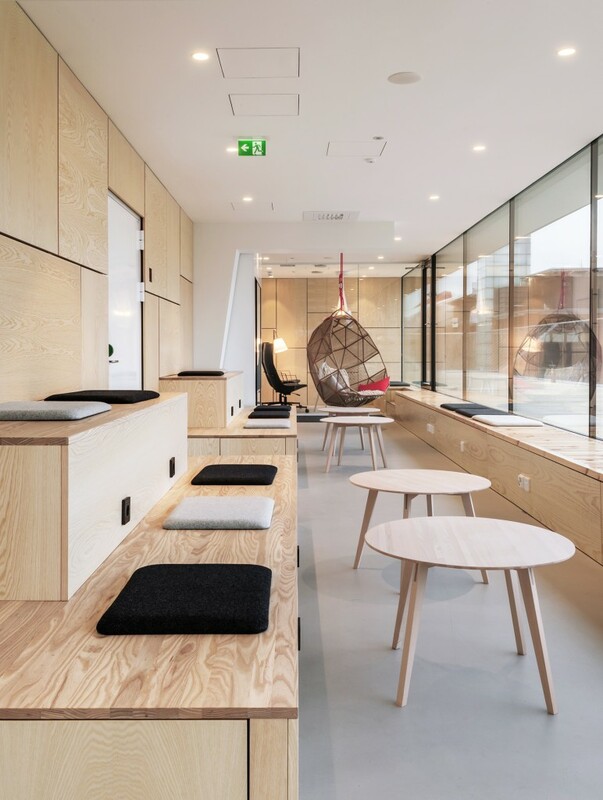 The restaurant offers a variety of seating for socialising. 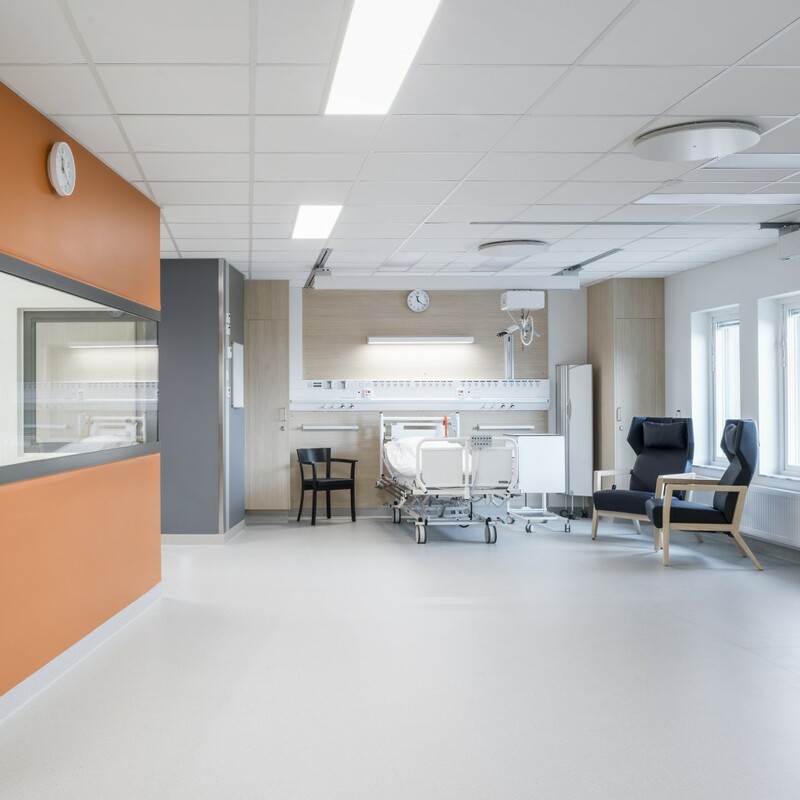 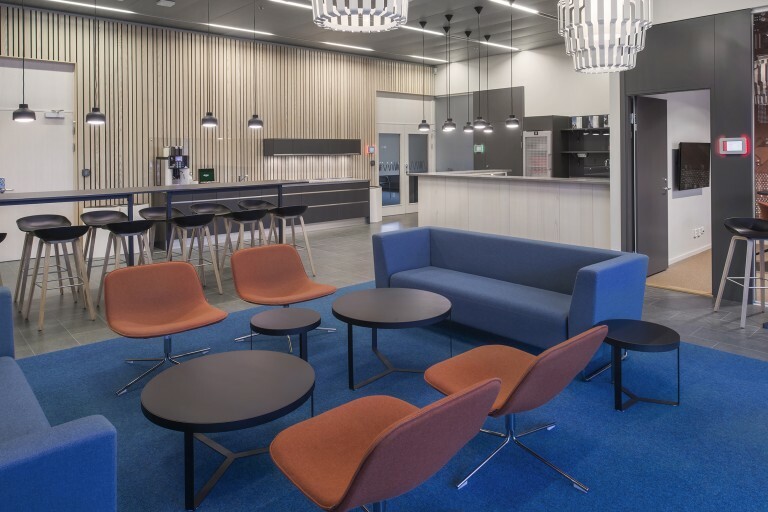 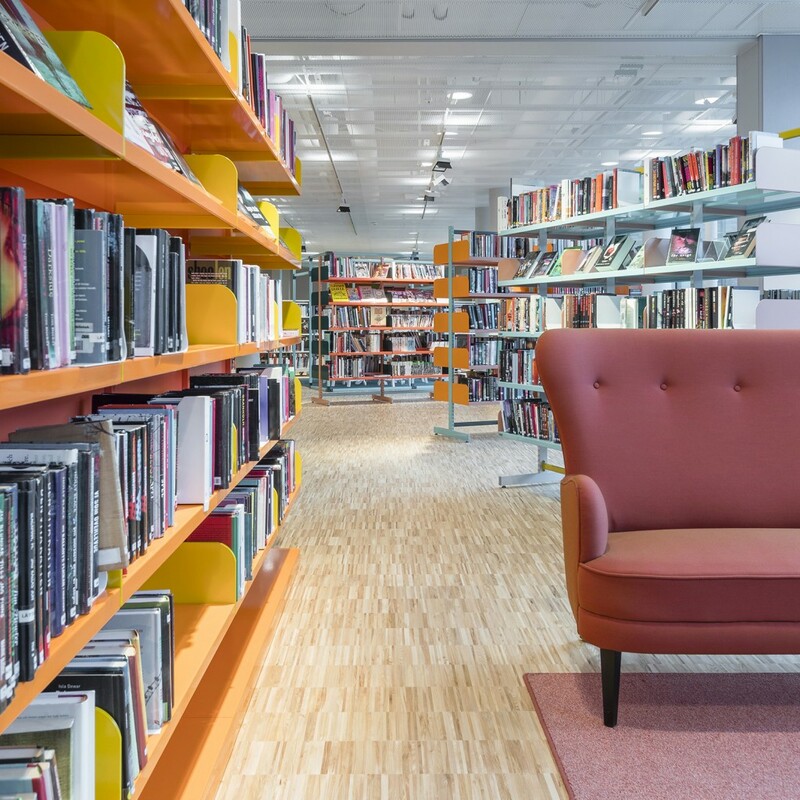 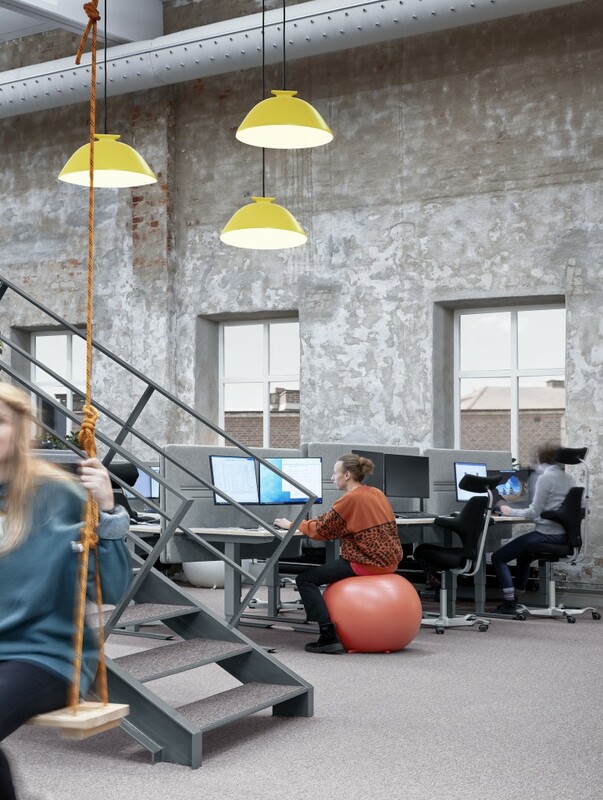 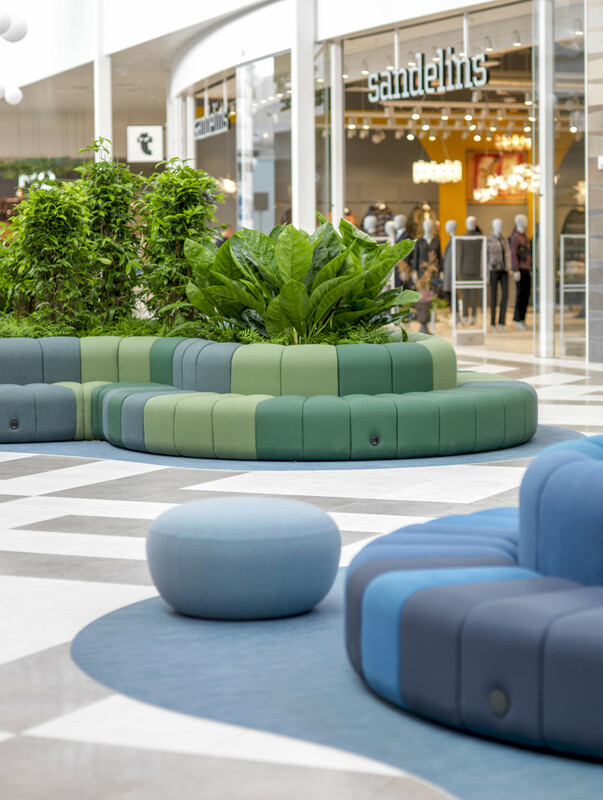 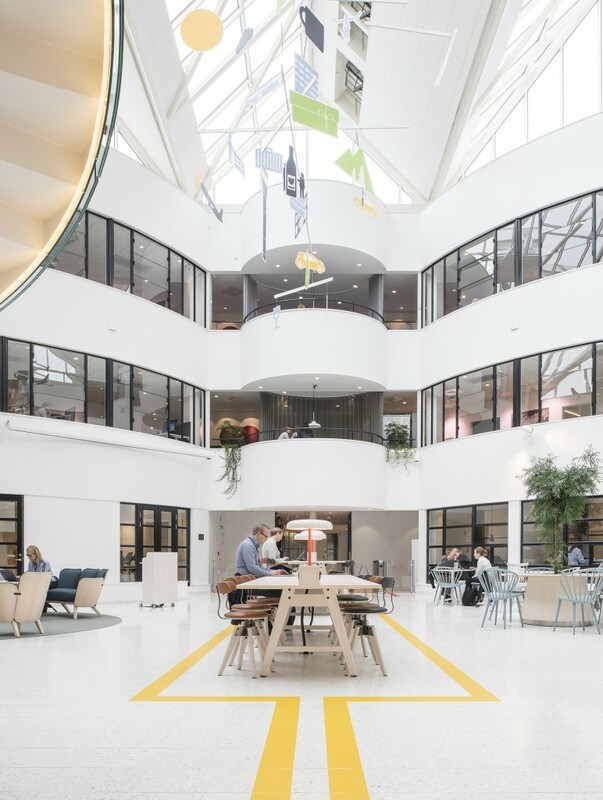 When engineering company RTR Emerson in Gothenburg decided to build a new facility, a shared hub was created where employees, office functions and production interact. 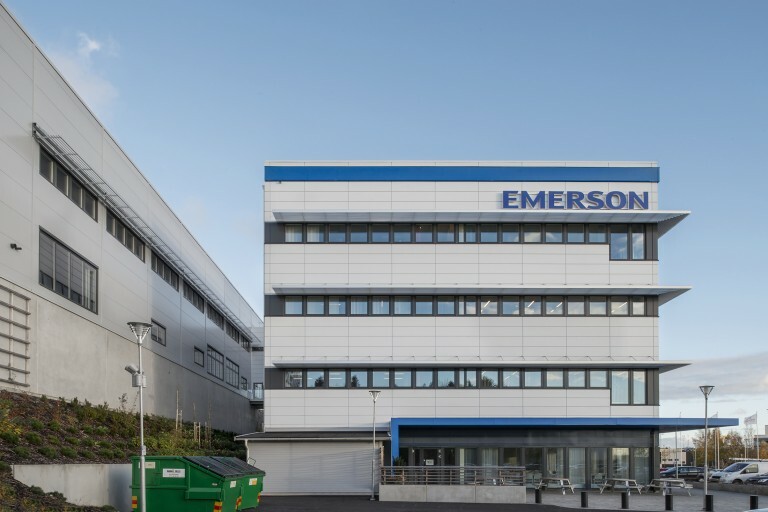 Rosemount Tank Radar is part of American technology group Emerson and specialises in advanced level-gauging equipment for tankers, etc. 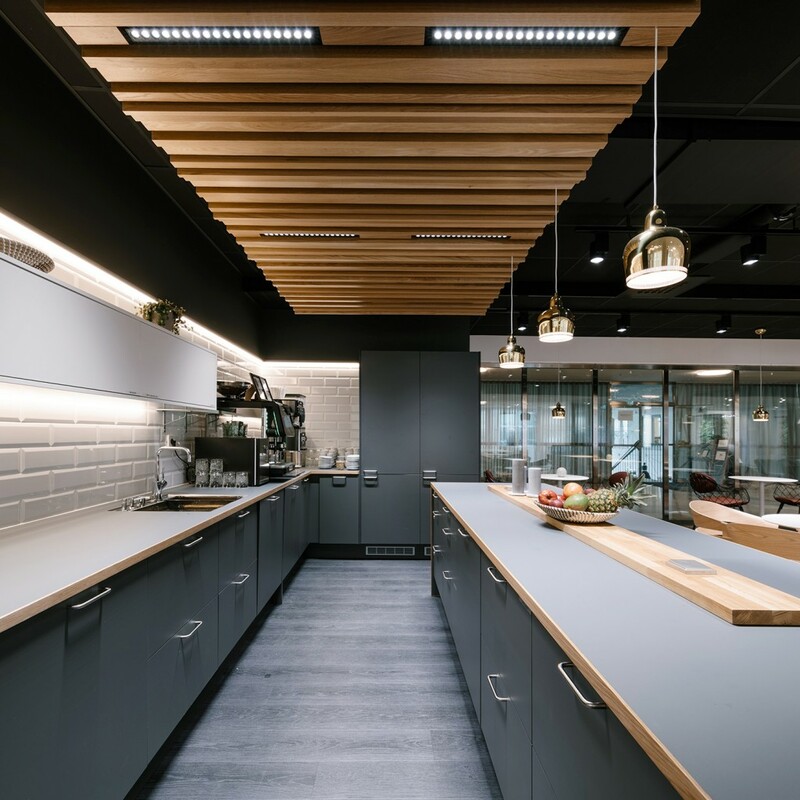 Industrial premises and office functions were previously spread between various buildings, but as the operation makes heavy demands on premises and equipment, the decision was made to invest in a shared hub. 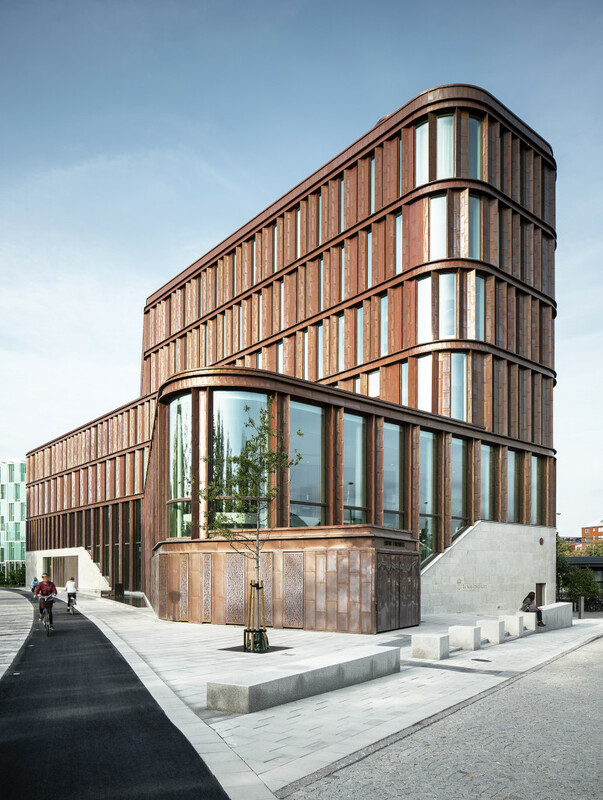 A new three-storey office block was constructed directly adjacent to the industrial building. 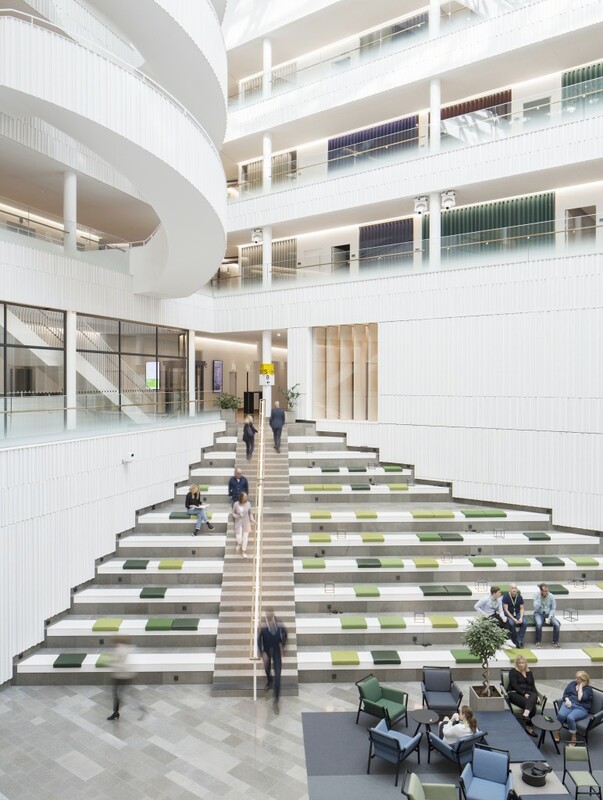 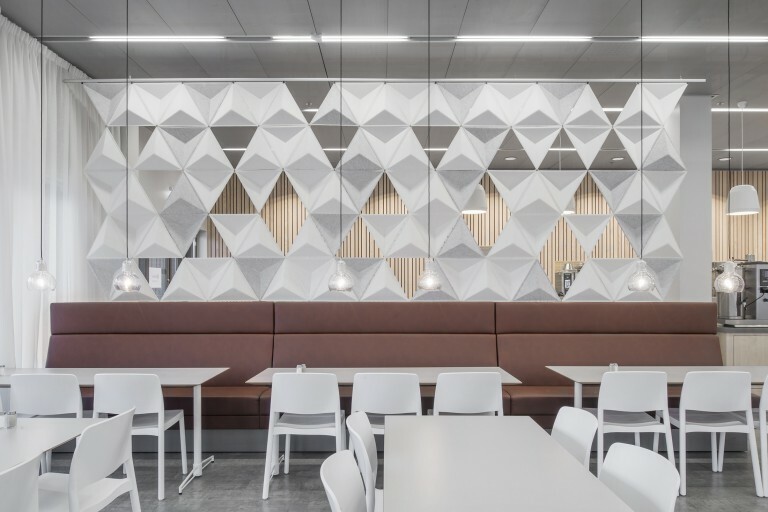 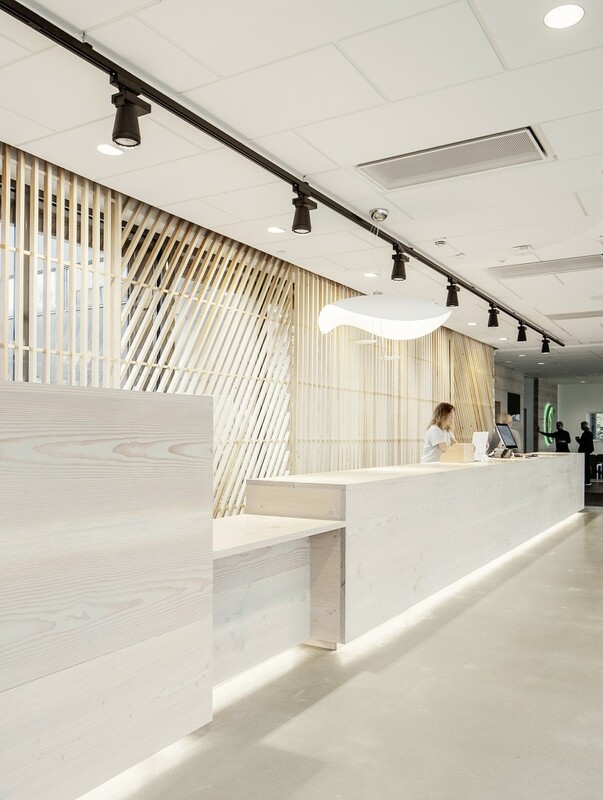 Architects Krook & Tjäder designed both the exterior and interior of the office block with a focus on creating space for interaction for the 350 employees. 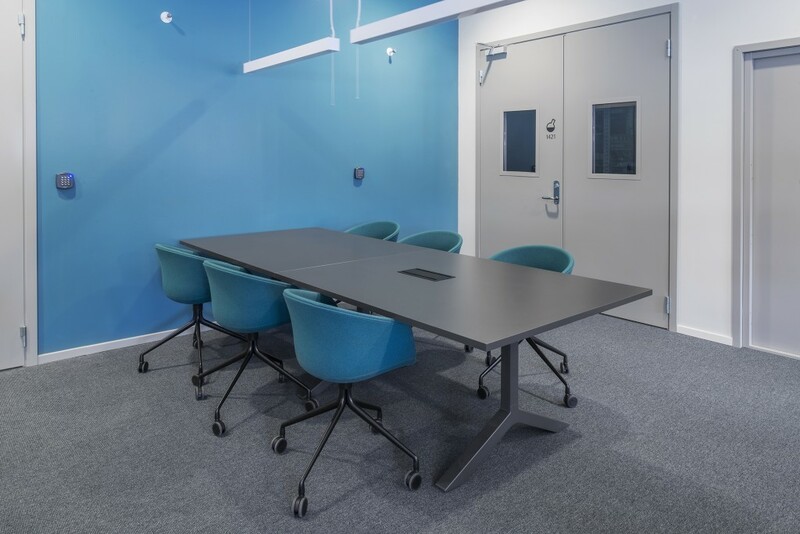 Research, development and production are now all gathered under one roof. 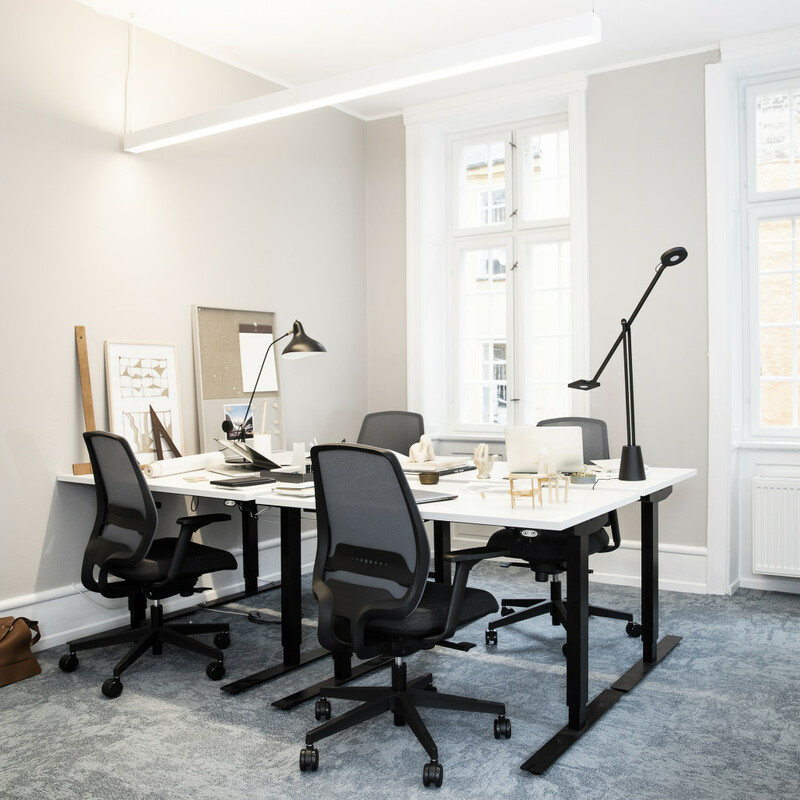 In order to facilitate greater interaction, the previous individual offices have been replaced with workstations in an open-plan office environment. 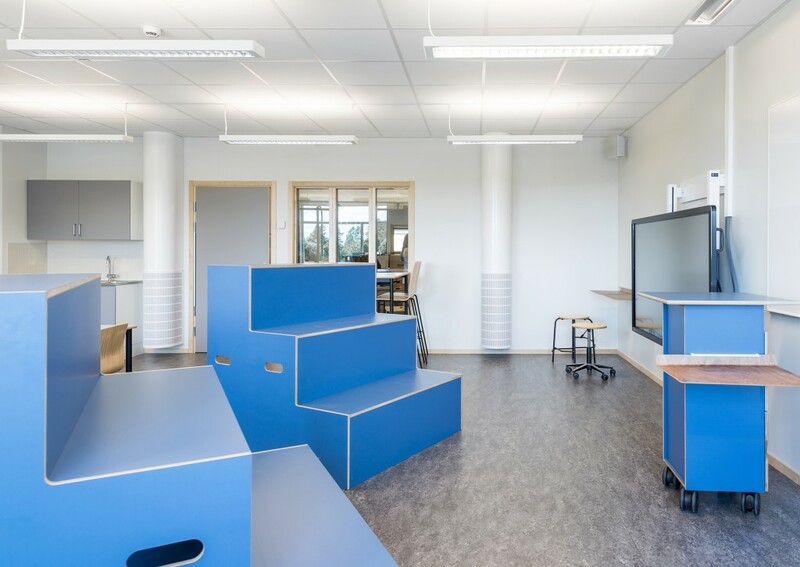 A variety of screens create rooms within the open areas as well as affording pleasant acoustics. 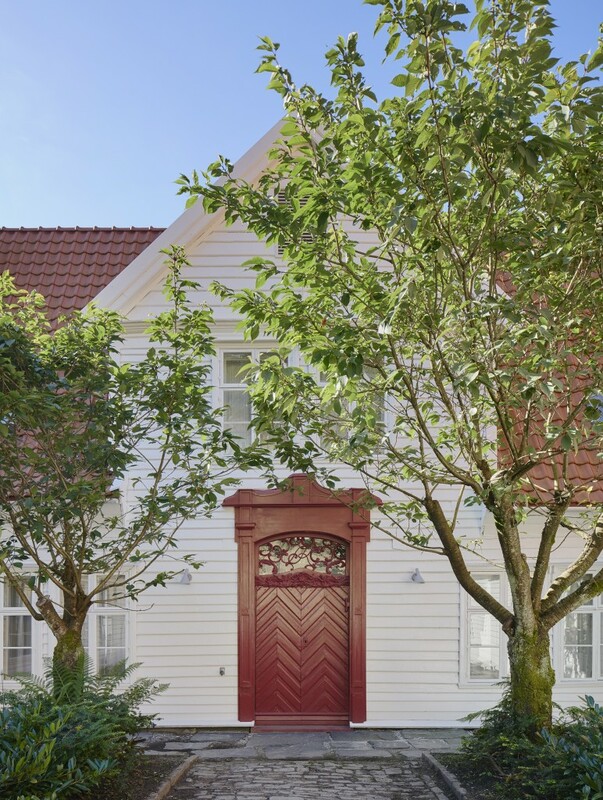 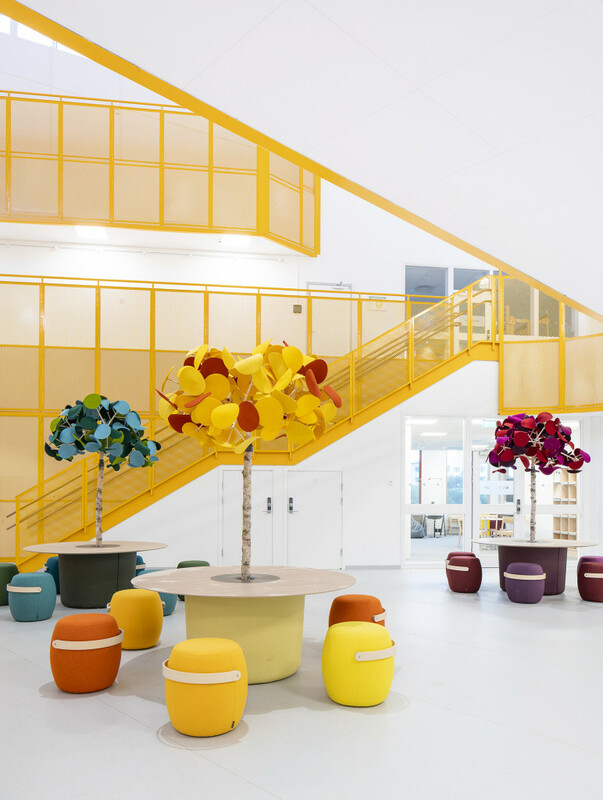 Each floor has its own colour scheme, featured in furniture fabric, walls and textiles. 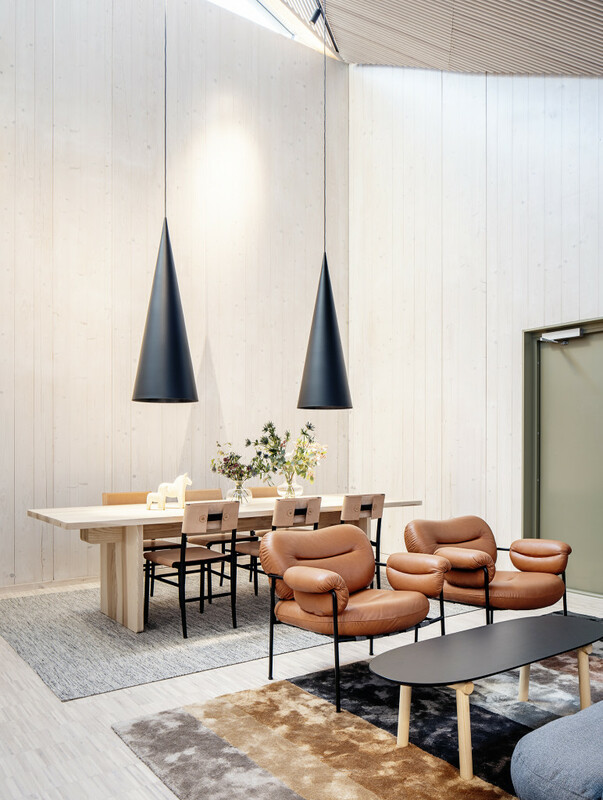 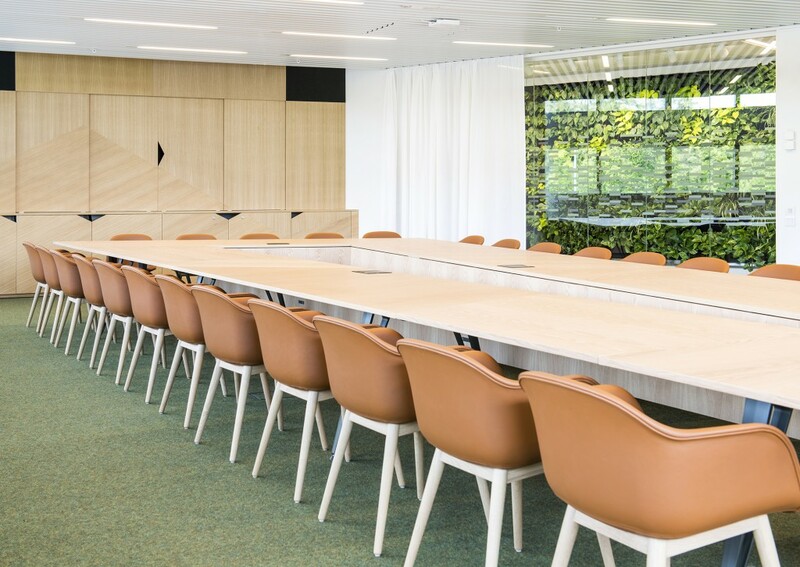 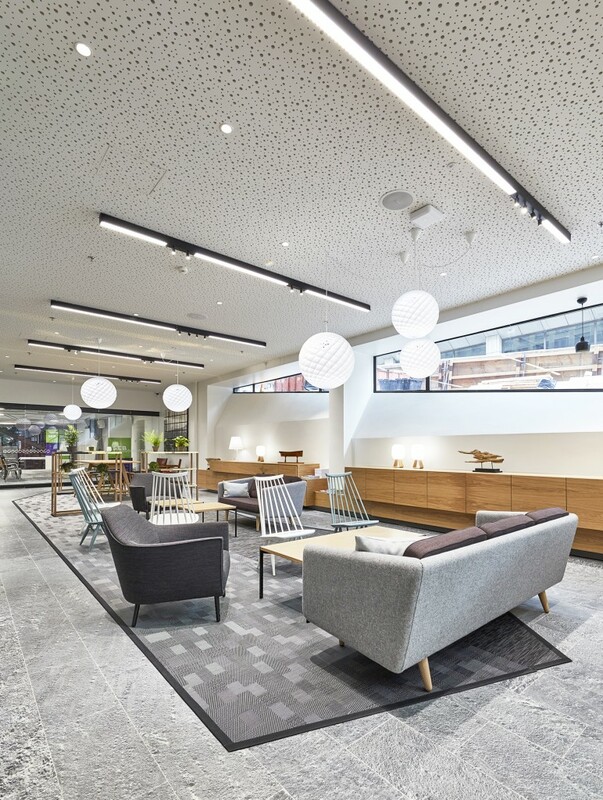 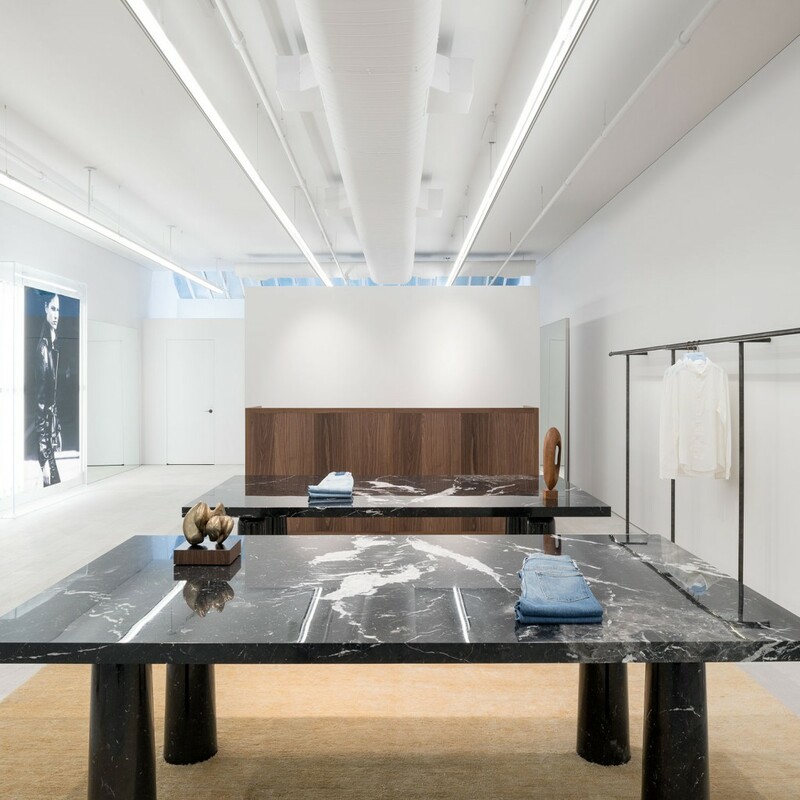 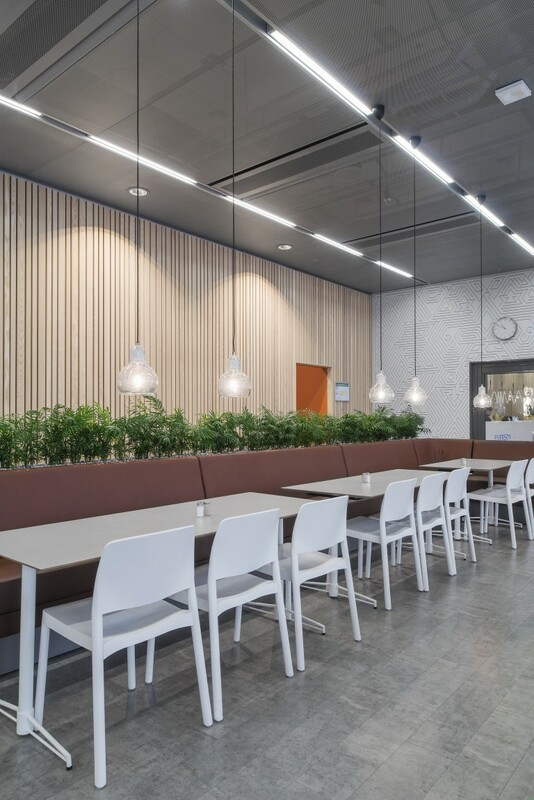 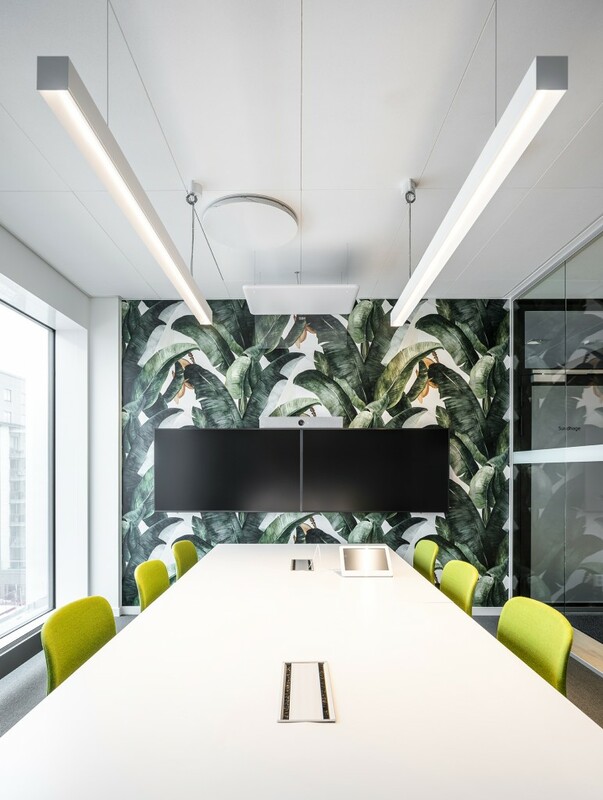 Input interior was responsible for procurement, project management and delivery of furniture and fittings for the entire office block: from workstations, conference and lounge facilities to the restaurant and outdoor environment.